All my previous relationships drained me. Not only because I was with the wrong men and kept trying to make things work where there was no way, but also because I was a queen of justifying, accommodating, and compromising. I accommodated men because I wanted to be liked and avoid rejection. I justified their lousy behavior because I wanted to be in a relationship and not be alone. I compromised on my values and romantic ideals just to have someone in my life. On the surface, I was an independent woman, strong, fierce, and full of energy and opinions. When it came to relationships, I’d lose my power and myself completely in them. I would become a meek mouse with no voice or opinions. I would put my boyfriend’s needs first and ignore mine. I would keep quiet about how I felt. I wouldn’t question things. It took me a few love attempts and ten years of random dating to recognize my unhealthy patterns. Firstly, I was subconsciously copying the behavior of my mum, who needed to survive with my despotic dad in a very turbulent relationship. I didn’t know any better until I learned the hard way. Secondly, I didn’t feel worthy of love. I didn’t feel like I was good enough for anyone. I was afraid to be myself, as I didn’t feel like I had much to offer. Thirdly, I wasn’t happy with myself and my life and I believed a relationship would change that, so my desire to be in one was pretty strong. These patterns made me feel and act like I was desperate for love. So, once I landed myself a boyfriend, I’d do anything to please him and keep him in my life. I would be a cheerful giver. I would take all the responsibility for the relationship on my own shoulders. I would make my men’s life easier by doing things for them and sometimes against myself. I would accommodate their busy schedules, moods, and issues. I would help them improve their self-esteem and lifestyle so they’d feel happier within. I would completely disappear in my relationships. Everything in my relationships was about the men. They became my main focus and the most important thing in my life. I would abandon myself. I would give up my friends, my passions, and my dreams. I would lose my own identity in the name of love. My main priority was to keep them happy so I could keep the relationships. But even all the crazy giving and accommodating wouldn’t keep dysfunctional relationships going. So, when it came to an end, I would have nothing left to give. Every split left me feeling empty. It almost felt like a little part of me died after every relationship. I didn’t know who I was anymore because I was focusing so heavily on the relationship that I’d completely neglect myself. It didn’t feel healthy at all. When I started to become more aware of my patterns and how harmful they were to me and my love life, I made some promises to myself. Although they might sound a bit harsh, these rules have served me and my relationship amazingly well so far. The truth is, your relationship with yourself is the most important one in your life. Also, it is the foundation of any other relationship, so it makes sense to prioritize and nurture it. If you love someone else more than yourself, you will always compromise too much, ignore the red flags, get hurt, and lose yourself in your relationships. You can’t love in a healthy way unless you love yourself first. Also, the love for yourself will help you set stronger boundaries in relationships, protect yourself, and find the courage to walk away from any relationship that doesn’t serve you. Along with these promises, I also made a decision that I wanted to create something different in my love life. I wanted to create a healthy and happy relationship, unlike the one my parents had and the ones I’d had in the past. To do that, I needed to become someone different. Not really a different person, but become braver and more authentic in my relationships. Otherwise, what is the point? I needed to start speaking my mind, expressing my feelings, and asking for what I wanted. I simply needed to become more vulnerable in my relationships. Firstly, I took a break from dating and focused on becoming happier and stronger. Secondly, when I found the right person, I had some new rules in place to support myself in staying strong in my relationship. I didn’t want to lose myself in a relationship again. Because, to be honest, losing yourself is far more painful than losing a relationship. And it will take you forever to find your strength, dignity, and truth again. Here are some things I did differently, before and after getting into a new relationship, that you can do too to make sure you don’t lose yourself. Establish a strong foundation while you are single. We lose ourselves in relationships because we don’t feel worthy of love and our boundaries are weak. When you love yourself, you know how you want to feel and be in your next relationship. You also set healthy boundaries, which prevents you from losing your identity in a relationship. How do you start loving yourself? Here are three tips you can implement straightaway. 1. Start every day by asking yourself: What do I need today? How can I be loving with myself today? Follow the answers, as they will help you be more loving and respectful of yourself. 2. Operate from a loving, compassionate place within yourself. Choose people, situations, and things in your life that serve you and don’t harm you. Honor your own needs and feelings. Be kind to yourself. Stop judging yourself. Set some powerful boundaries to protect your time and energy. Become your own cheerleader. Listen to your own intuition. 3. Change your priorities. You come first, everything else comes after. Choose yourself. Make your own wellbeing a priority. Put yourself first when you can. Make yourself important in your own life. Stop people pleasing. You matter! When you start following the path of self-love you will start showing up differently in your life and your relationships. Know your needs. Know your desires. Know your dreams. Know your values. Know your priorities. Know yourself basically. This knowledge will prevent you from compromising too much in a relationship. Your strong sense of self will help you stick to what is truly important to you. This will give you a sense of security, which comes from within and not from your relationship. I have two little exercises that will help you get to know and understand yourself and your needs better. 1. Create a list of your current needs. Grab a piece of paper and create four columns. Title each column: emotional, mental, physical, and spiritual. Take your time and explore what you need in these four categories to feel fulfilled. 2. Write down your top five to ten priorities. These are the things that are important to you that you’d like to focus on right now. List them in order of importance. These exercises will give you a stronger direction in life and help you explore what is truly important to you. It makes sense to revisit them occasionally, since things will likely change over time. Your needs will be different a few months down the line. Your priorities will be different, as we are always growing and evolving. The goal isn’t to define yourself in rigid terms, but to understand what you need and want at this point in your life. Know your non-negotiables in relationships. Things you won’t tolerate. Things you don’t want to compromise on. Things you don’t want in your relationship. And communicate them so your partner knows and respects your limits. Healthy boundaries will make you feel stronger and more empowered in your next relationship. If you don’t honor your boundaries, you will feel exhausted, overwhelmed, and drained. Healthy boundaries prevent you from losing yourself in love. It’s very easy to get infatuated in a new relationship, get all loved up and forget about the whole world outside. As much as it’s a natural part of every new relationship, don’t forget about your friends. Schedule regular time with them. They’ve been your rock and a sounding board many times, and can be now as well. Don’t limit your life just to your new partner. You need some other perspective. 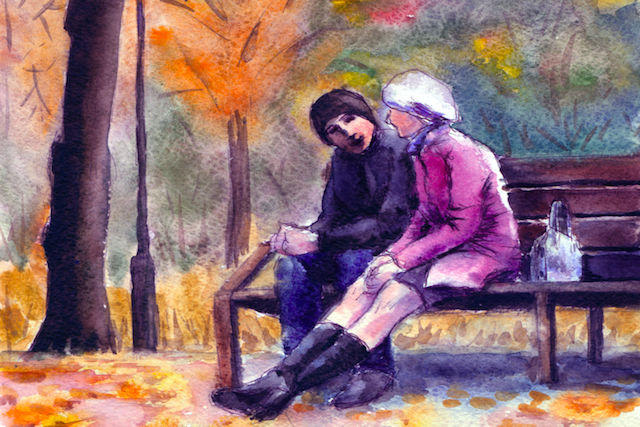 Just because you are in a relationship that doesn’t mean you need to give up the things you love doing—even if you feel tempted, especially at the beginning when things are exciting, and you want to spend as much time with the person as possible. It’s important to maintain your normal routine as you can. Make time for the things you love doing. Make them your priority because they contribute to your happiness, so they are just as important as your relationship. Keep some hobbies you only do on your own or with people other than your partner. Plan some time every week when you do things separately. Schedule solo dates. Cultivate a spiritual practice. Stick to your exercise routine. Doing things on your own will help you stay connected to yourself and cultivate a sense of self. It will also keep your relationship fresh. No relationship can fulfill all your needs and desires. That is why you need different things in your life, apart from your relationship, to keep you growing and expanding in new directions. Also, the time you spend on your own will help you nurture the relationship with yourself and keep your independence. Don’t suddenly change who you are for someone else. For example, don’t suddenly pretend you’re a football lover just because your boyfriend likes football or don’t force yourself to do shopping with your girlfriend just to please her. Be honest with yourself and communicate what you like and what you don’t with your partner. Also, make some independent decisions. You don’t need to consult your partner about every single decision. Express your opinions. Share your thoughts. Speak your mind. Tell them how you feel. All of these will help your partner to understand you better. Talk about how you feel. Talk about what isn’t working for you. Talk about what you like and dislike. Even tell your new partner that you are afraid of losing yourself in the relationship again. I did and my partner supported me in trying to maintain my own identity. Honest and open communication will only bring your closer. You can only improve a relationship when you know what is not working. So, talk openly! Stop the over giving and accommodating. Over giving usually comes from not seeing your own value and seeking approval. We believe the more we give, the more love we will get back from our partner. Unfortunately, it doesn’t work like that. In the long run, it is a sure way to increase resentment and feel taken for granted. And resentment is one of the factors that determines the happiness and longevity of the relationship. So, when you over give, you don’t only risk losing yourself in the relationship but also losing the relationship. Reflect back on your relationships. How you felt, how you compromised, how you betrayed yourself. Our previous relationships can give us a huge amount of knowledge about ourselves. So, look at the mistakes you have made in the past and learn from them. Decide what you don’t want to repeat and what you want to do differently in your next relationship. Commit to staying strong and true to yourself. Set the rules which you are going to follow once you meet someone—you can use the ones I created for myself or create your own! Healthy relationships are created by two strong and complete individuals who can exist without each other. Healthy relationships are free of co-dependency. Healthy relationships start from a healthy relationship with yourself. The stronger your relationship with yourself, the lesser the possibility that you will lose the sense of self in your next relationship. You can build strong foundations now by getting to know yourself, exploring life on your own, and establishing habits which make you happy. When you feel strong within and when you meet the right person, you will stay grounded throughout the first phase of dating and have a better judgement. You will keep a strong identity, make better romantic choices, and avoid heartache. Aska Kolton is a Dating Detox Expert who helps single women love and value themselves so they stop making mistakes in love, start making more empowered romantic choices, and finally attract the quality relationship they deserve. Sign up for Aska’s Romancing Yourself Challenge HERE, and download her Get Ready For Love With The Dating Detox Guide HERE, and join her Facebook Group. 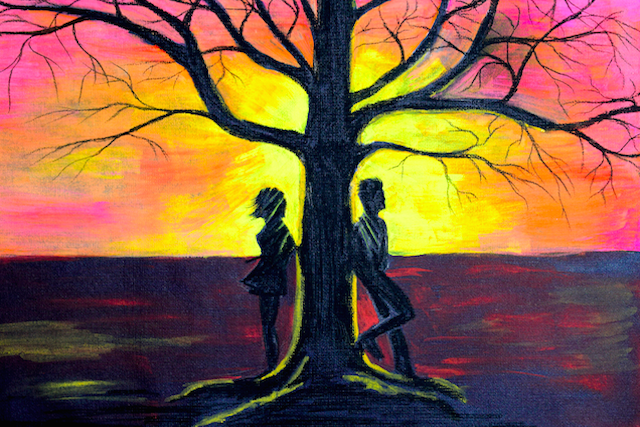 The post 8 Tips So You Don’t Lose Yourself In Your Next Relationship appeared first on Tiny Buddha. Previous Endings and Beginnings. What Lies on the Other Side of Fear?